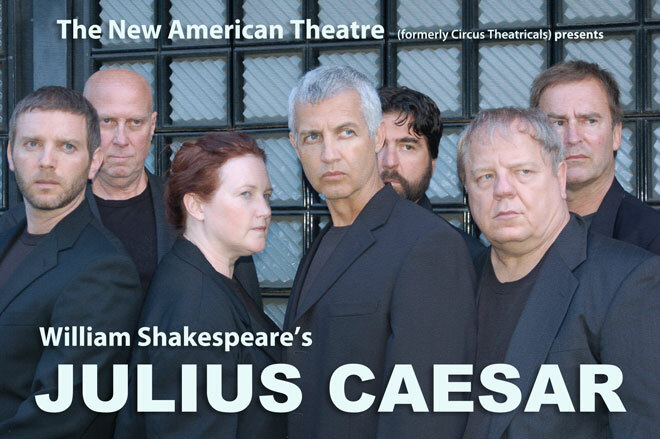 Shakespeare's Julius Caesar tells the tale of the murder plot against the Roman Empire's most popular ruler, his cold-blooded assassination by his trusted friends and known enemies, and the chaos that follows. Chelsea Povall, Jobeth Prince, Jade Sealey, Scott Sheldon, Jack Stehlin, Patrick Vest, and Vanessa Waters. Stehlin (who also directs) renders a superb performance, investing the character with equal parts cunning, glacial detachment and simple human fragility. Equally commanding are Groenwald's voluble, emotionally intense Cassius and Scott Sheldon's dignified and loyal Marc Antony. This is a lean, well managed production with the rest of the large cast turning in good performances in multiple roles." Shakespeare’s text all the more accessible. " modern-day business attire, and non-declamatory performances, and the production plays like an Aaron Sorkin series." down at The New American Theatre"
who wants to see Shakespeare."